In a secluded place in Hrishikesh, quite some years ago, a man named Shivendra used to worship Lord Shiva. He liked to wonder in the forests sometimes and he used to also meditate there. One evening, while walking in deep thoughts, he lost his way in a thick forest. As it became dark in the evening and the forest was dense, he was unable to find his way back. He became nervous and worried. With an intense prayer in his heart, he began to call Lord Shiva. After about half an hour or so, in that quiet and peaceful environment, he heard some footsteps, after which he saw a sannyasi, an ascetic in ochre clothes standing next to him smiling gently. He was carrying a bowl and was holding a staff and wearing wooden sandals. The sannyasi was very fair and tall and his body emitted golden glow. Furthermore, his face beamed extraordinary peace and serenity and he had a sort of magnetic enchantment inducing towards him. Hearing this, the sannyasi began to laugh loudly scaring Shivendra profusely. Shivendra nodded his head in affirmation. The sannyasi made Shivendra sit beside him on a huge rock. For three to four hours, he had a fruitful conversation with Shivendra. During that period, his mind and body were at complete rest and he became very attentive. He perceived and understood what was the underlying existing cause behind this entire universe. He was given the sacred knowledge of liberation. The ‘beej’ (seed) of the ‘sansara’ (sensory world) is Brahma (Atman) he was told. The sannyasi also explained to Shivendra the difference between a good and an evil man, a friend and a foe and how to discriminate between the two. So what do we gather from the real life incident of an ascetic who lived at the foothills of Himalayas and had the great fortune of the blessed company of the Mahasiddha, paramyogi Mahavatar Babaji? This incident can also be viewed as an allegory as we find so many cryptic meanings in this incident when we draw parallels. What are the shrouded realizations? Can you stop and think for a moment, please? Now not only was Shivendra lost, we too are lost in the world’s maze of illusion or Maya. The dark and dense forest here can be compared to Maya. We also have to revoke and retract our steps and find our way back home. If you are a pathfinder, you will need a guide and a path illuminator in the form of a Divine Guru. The Guru asks us to retrace our steps from the materialistic and illusory world to the Divine world and teaches us to be good by serving God through human beings. Mahavatar Babaji hates it if we waste our precious time in frivolous, trifling and wasteful activities. Instead, he advocates us to utilize each and every moment in activities and pursuits which will help us grow in Spirit. And how can all this be attained? We can start by first taking a firm resolution and setting our goal to achieve the Divine Abode. Once our aim is laid down and set firm, the next thing the aspirant has to do is to perform suitable actions in synchronization to them. If a student has the ambition to top the class, he brings his whole mind and attention to perform only those actions which will fulfil his ambition. He does not perform contrary actions obviously. So we too should perform only those actions by which we will surely progress and move upwards. God has given us intellect and discrimination power to sift. With intellect, we must discriminate what is good and what is not good for us. Which actions will help me to push me up on the hill of ascent? Ask yourself this and think. What is good for me on long term basis? Perform only those actions. Sometimes it so happens that we choose to do actions which are beneficial for us on short term basis. But the impact after some years is miserable. For example, acquiring the habit of spending more than your means is a wrong action for sometime we may enjoy being spendthrift, but the impending results will be difficult to bear. Such actions are called “Preyas”, pleasant ones. On the contrary if you decide to save your money wisely you may feel the pinch today. But after a few years, there will be peace of mind and relief. Such actions are called “Shreyas“, beneficial Ones. The same thing goes for man. He comes in the world, gets entangled in the jungle of sensory world and loses his way. Initially there is enjoyment but the later stage is of untold misery, sickness, suffering and unhappiness. But a wise man comes to the world and finds out first the path to God by disciplining his senses and mind through self-control, discarding ego and contemplation on God, devotion, service, charity, kindness, good behaviour and many such virtuous acts. Such a person is a Yogi. And once he realizes God, there is no entrapment. His soul is free and he is a happy man for the rest of the life. This entry was posted on Thursday, April 30th, 2009 at 8:20 am and is filed under Uncategorized. You can follow any responses to this entry through the RSS 2.0 feed. You can leave a response, or trackback from your own site. your post has touched upon instances that i have had while losing myself in thinking about something as trivial as “how can i overcome my bad luck / challenge” and have gone on to wonder that in the scope of this vast universe, how small is a problem that i hold to my heart, and that there must be a purpose bigger than my onstant gratification of ambitions, which are moreoften materialistic. i also read Kaleidoscope, through which u beautifully explained how a change in perspective and focusing on the big picture helps us realise and accept and also overcome our challenges. My dear child. Remember there is nothing like bad luck. Only try to know at such times what is God trying to tell you? What do we learn from adverse conditions? Do you see God’s blessings hidden in them? What will you eventually become when you go thru all this? Isn’t that reqd? What is the purpose of living on this planet? Aim high and soar even higher!! Only selfless love can clean our heart and mind and make us ready and worthy of God. Selfless acts give us lasting peace and joy. Our lives should be devoted to God and his children by whichever way we can as long as we are true to ourselves. Do not be affected by the ways the world operates. Do what your ‘inner witness’ tells you. All of them are materialistic and selfish. Don’t be affected or agitated by such people. You create your own life by listening to your atman. Enjoyed reading this post very much. Loved how through a story you explained how we too are lost in the world’s maze of illusion or Maya. Shahid I refrained myself many times to tell everybody about what I have known since I wrote this article. But somehow I feel like telling it now because it is very interesting. 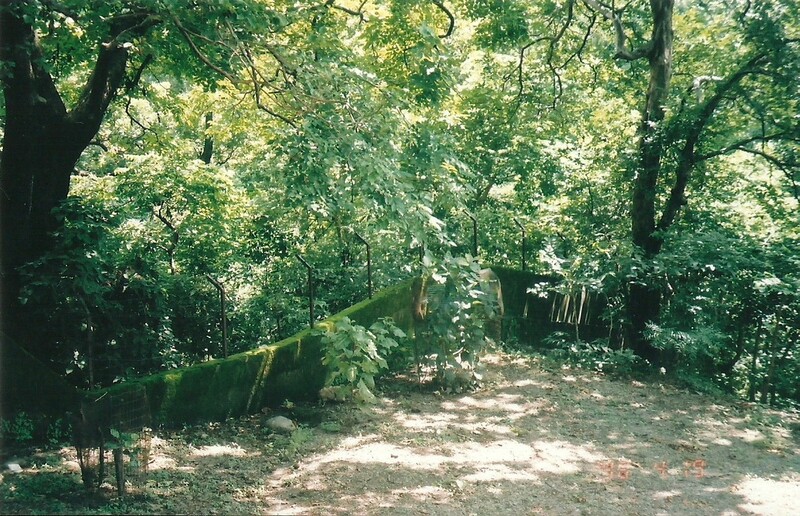 The place mentioned here is the forest of Rishikesh some 50 plus years back and the ascetic or mystic is none other than our beloved Mahavatar Babaji and the person or renunciant who lost his way was a well renouned Swami of Rishikesh who is no more but has his huge ashram even today. I have always believed that Mahavatar Babaji gave him darshan in advance in a mystical manner so that he could do mass healing and mass teaching through his organization which has world wide branches of yoga and spirtual knowledge even today. I like this post a lot because it has a very mystic touch and the substance contained in it is very useful for all of us. I know we all will agree because the dialogues between the two is very critical and is useful for all readers. Oh so this took place in the forest of Rishikesh and the mystic was Beloved Babaji, Interesting . I read this post again now and indeed it is useful. Pranams Ma, It looks like I have missed reading these posts. The moment I read Swami Shivendra’s name, a strange spinning and upward pulling around my sahasarahara started and it is still continuing. It seems to me that we have received so much devine knowledge by this Swami through this blog. Humble Pranams to Our dear Babaji, him and you- ma..
Pranam dear Chaya, indeed this post has some mystic touch and you have felt tangible vibrations inside your body as a testimony to the prevalent emitting energies. When I wrote this post I was lost in it for many days until I realized that Swami Shivendra was actually Swami Shivandji only. At that time I did not know that at a much later period he will emerge so prominently in my life and will initiate me into much higher knowledge.The latest posts on the blog which were guided by him have assured us that he will help us in our progress and his blessings on us are so evident. The picture that I have uploaded is of the ashram in Rishikesh which he made with his own hands. My countless prostrations to Shri Mahavatar Babaji and Swami Shivanandji. Ma, thank you so much for disclosing the dearest Swamiji name..I can see you have responded to Shahid about the same thing in 2013 and gave a lot of hint but haven’t disclosed the name. Finally after almost two year through Chayaji’s question we got to know that it was about great Swamiji. May be someday we will get to know some more insights about this beautiful event in Swamji life and will drink that nectar. My dear Paripurna, the Master will first prepare the student for arrival of more advance knowledge which he will transfer from time to time after he is ready. I had read this incident in a Marathi book in 2002 while I was intensely researching about life or life stories of Shri Mahavatar Babaji as I knew so little about him. As I read that book which had no names of any saints except that they were ascetics or sadhus, I had a firm belief that it must have been Shri Mahavatar Babaji and no body else. That was my hunch and had no co relation with anything else or its narration. However, in my own meditations in 2007 and 2008 when the same story was retold to me by Babaji I was convinced that Shri Mahavatar Babaji gave darshan to Swami Shivananda of Rishikesh. I knew little about Swami Shivananda also. Later, that is about a year back, Swami Shivananda gave me a lot of information and insight about him. Just after to my extreme delight I realized that the next many articles on FB and WP will be guided by him! Never did I know that some day I would be in deep connection with Swami Shivanandaji. I feel that this is a true blessing from him to all of us. Swamiji recently also showed me the area which was once a forest and how Babaji met him and guided him intuitively in that forest. This is a revelation from my side to all of us so that we believe very firmly that all divine knowledge and revelations after all come at the behest of God and they come in quiet moments in peace and tranquility. May the ancient saints always keep a watchful eye on all of us and may they guide all those who have lost their way and wish to return home. Dear Chaya, some more information has been provided to Paripurna in the comment box. I am sure that would satisfy your heart more. Disciplining his senses and mind through self-control, discarding ego and contemplation on God, devotion, service, charity, kindness, good behavior and many such virtuous acts. Such a person is a Yogi. So relevant in today’s context when we seeing so many bogus characters roaming around us in pretext of being Yogi. Thank you Mother, Swami Sivananda, Baba ji and all divine masters for holding our hand and guiding us to find the long forgotten path of truth and divinity.